Here are some resources that will assist anyone wishing to have a say about fish farm proposals in the public consultations in the Highland Council's planning process. 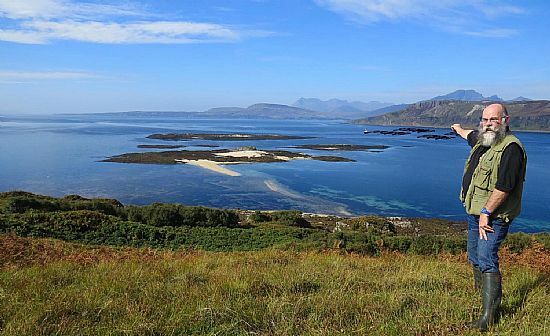 Sleat Community Council's website, where up-to-date news of local planning applications is posted. Recently refused - see REPORT OF HANDLING here or below. DOCUMENT ANALYSIS - We recommend that, if you have time and patience, you go through some of these documents with a fine tooth-comb. You will soon find them to be littered with errors and evidence of a slapdash approach that insults the public's intelligence. However, it is quite evident that, as they pass through the planning process, they are not read particularly critically. If they were, their authors' indolence (it might be incompetence) would not so easily get overlooked. We, Joe Public, can take on the task of document checking, so if you find howlers you think we should point out to the planners, please contact us. Click HERE for some splendidly inane examples of fish farmers' slipshod slapdashery to whet your appetite. There are many more, some discovered and others yet to find. UPDATE: Sleat Community Council has analysed Hjaltland's documents submitted in support of their EISHORT 1 & EISHORT 2 applications and sent appraisal documents to the planning officer to publish for public edification. These two 'essays' make very informative and entertaining reading. 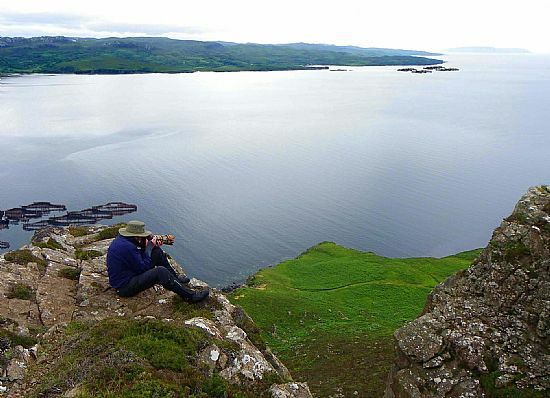 REPORT OF HANDLING 14/01467/FUL (Loch Slapin) - We should all read and digest the contents of this document that tells us why the Highland Council decided to refuse Hjaltland's application to install a salmon farm in Loch Slapin. 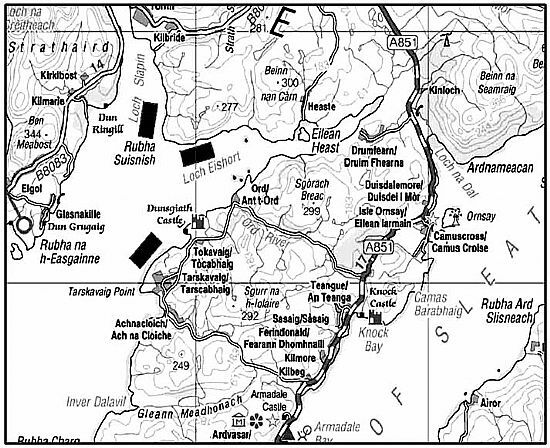 The same criteria will be applicable to the Loch Eishort applications, particularly Eishort 1, which is just round the corner from the refused Loch Slapin site. This very informative document tells us all precisely which arguments will be most likely to persuade the council planners to refuse the applications for fish farms in Loch Eishort. In our comment letters we should place particular emphasis on these refusal criteria, and not waste time and words on matters that the planners will not be considering. They have more planning applications to wade through than anyone should have to deal with and heaps of paperwork from consultees and the public to read, so the more concise we can make our contributions, the more likely they will be to spend time and patience considering them (to our benefit). MAKE A PUBLIC COMMENT about a planning application. Near the top, right of each planning page you will find a button 'Make a Public Comment' which leads you to a form you can fill in to have your say. That's OK if your comment is brief and uncomplicated, but if your letter is lengthy and contains a lot of formatting, send it in as hard copy or turn it into a PDF to deliver as an attachment with a covering e-mail to eplanning@highland.gov.uk. If you put complicated text into the online form it will be presented to the public on the website condensed into a single paragraph! SUBMIT A PUBLIC COMMENT When the 28-day Public Consultations open (advertised in local newspapers, also announced on Sleat Community Council's website and Sleat residents will be alerted), send your comments to Colin Wishart, ePlanning Centre, The Highland Council, Glenurquhart Road, Inverness IV3 5NX; e-mail eplanning@highland.gov.uk. installation of fish farms 'Eishort 1' (left) and 'Eishort 2' (right) [14/02574/FUL and 14/02577/FUL]. Our 'lone' photographer wasn't alone. There were 28 walkers (two parties) on the popular path below.